If there is such a thing as chick lit then this novel is the polar opposite, man lit. I should have been reading this novel in a high back chair in some hunting chalet near the roaring fire with a single malt whiskey on ice. The testosterone almost jumped off the page. While I read, I kept thinking to myself 'this is how men think, isn't it? Is this how men think?' Who needs all those self-help relationship books when you can just read Hemingway. 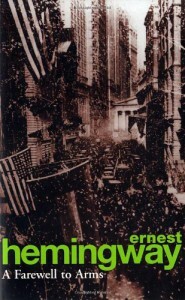 The story is about World War I, and love in the time of war, and then there was a lot of war. But Thank God! I'm not really a big fan of war stories but I hated Catherine. She was such an idiot. But the book still kept my interest. The ending left me with a feeling of WTF! 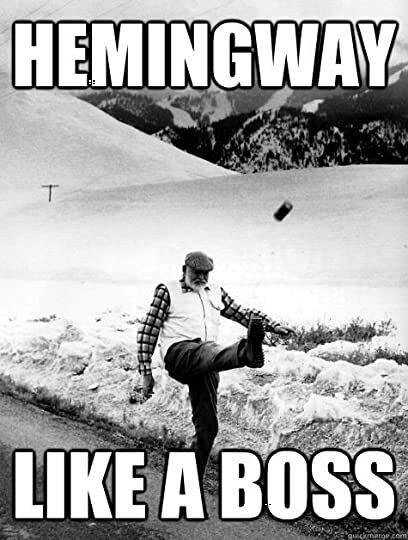 Hemingway's writing style is blunt and in your face with short sentences. I have yet to read anything of his that was not a tragedy. A Farewell to Arms was no different. I understand how this may not be the most appealing to many people. I enjoy his writing style. There is no skirting around anything. It is just straight, to the point and sometimes over the head.